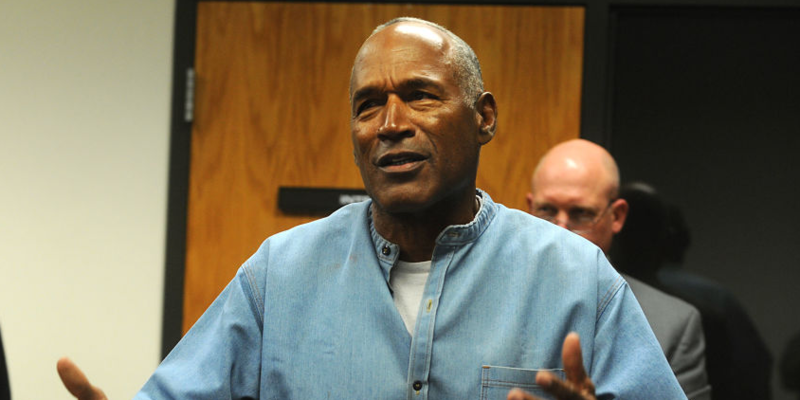 OJ Simpson dressed as a gynaecologist for Halloween this year, with the problematic name of "Seymour Bush." He wore the costume to a party at the Blue Martini Lounge in Las Vegas, Nevada. Insiders told TMZ that people at the bar weren't offended by the look, and instead lined up to get autographs from Simpson. 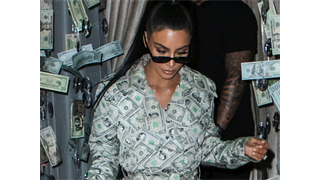 In photos obtained by TMZ, 71-year-old Simpson was seen in a white lab coat at the Blue Martini Lounge in Las Vegas Nevada. He wore a white button-down shirt, a blue tie and a white overcoat with "Seymour Bush, MD" stitched on to the chest, along with "Gynecologist." Simpson accessorised the costume with a stethoscope around his neck. Insiders told TMZ that people at the bar weren't offended by the look, and instead lined up to get autographs from the ex-convict and former NFL star. In video obtained by DailyMail.com, Simpson told fans he was "giving free exams. They're all free." But while fellow party attendees may not have found his costume in poor taste, people on Twitter certainly did. Simpson's costume was considered in especially poor taste given his alleged history of violence against women. In 1994, he was arrested and charged with murdering his ex-wife Nicole Brown Simpson and her friend Ron Goldman. While he was acquitted in the criminal case, Simpson was found guilty in a 1997 civil case brought forth by the Brown and Goldman families, and ordered to pay $33.5 million judgment. The family saw little, if any, of the money, but in 2007, Simpson was again arrested and charged with multiple felony counts related to a conflict over Simpson memorabilia being sold at a Las Vegas convention. The judge sentence him to 33 years - a sentence some believed was given partly as punishment for Brown and Goldman's death. He served nine years before being released in 2017. His costume last year was far less problematic: He appeared to dress up as a younger version of himself, wearing a vintage-looking Buffalo Bills jersey.